Piling up on food in its healthy and unhealthy forms in the colder seasons is common for an average everyday individual, all thanks to the chain of events and festivals that bring out the merriest in one and all. The impact of such over indulgence though is never worth celebrating. For those who have already walked way ahead in catering to their taste buds while forgetting about the calories, here is a list of 5 winter foods that will help you lose weight while maintaining nutrition intact. Carrots – Rich in Vitamin A and carrying only 41 calories per 100 grams, carrots can be your best friend this season. Sweet and flavorful, you can indulge in a plateful of these crunchy sticks as snacks with a range of healthy dips. You can roast it, steam it or eat it raw in as many as a 1000 different recipes while experiencing the best of health, best of taste while losing weight at the same time. Broccoli – Named as the world’s healthiest food, you cannot miss out on broccoli this cold and chilly season. This member of the cabbage family contains only 34 calories per 100 grams, allowing you to pile up as much as you please without bursting buttons on your waistline. You can steam, roast or stir fry broccoli with the spices of your choice or keep it simple with a dash of salt a pepper. This will qualify as a filling and heavily nutritious food option. 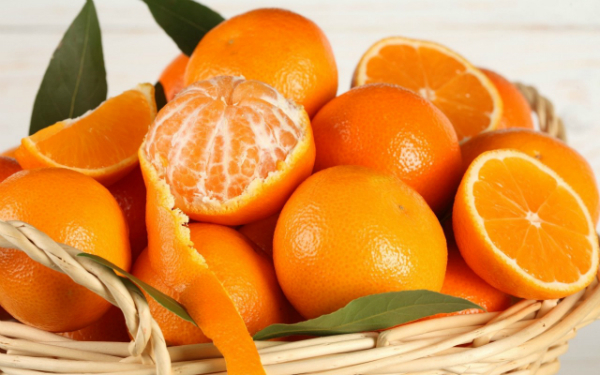 Oranges and Lemons – Oranges and lemons, tangerines and mandarins are recognized for the power packed dosage of Vitamin C that they offer. With only about 45 calories per 100 grams, a good lot of fiber and a burst of energy, these fruits can be your best friend when it comes to busting excess weight that you may be gaining through the festive season. Juice it or eat it whole, keeping these options in your diet will only do you good. Swiss chard – Here is the truth about Swiss Chard that will compel you to include it in your winter diet chart… This one of a kind leafy green vegetable contains a certain flavonoid that inhibits the craving for simple carbohydrates which goes a long way in minimizing your desire to indulge in the main ingredients for weight gain. If you wish to get back to your optimum weight, please ensure that your meals contain Swiss chards. You will also benefit from the plethora of rich nutrients that this vegetable has to offer. Lean Meat – With all the changes and alterations that you make in your diet, please ensure that the friendly old lean meat does not disappear from your plate. Lean proteins are crucial when it comes to cut down on the flab while gaining the muscles that you can tone into a enviable shape. Lean chicken, fish, turkey and even lean beef should form a part of your everyday diet. If not, you will manage to retain all your fat wrapped in loose and wrinkled skin, eventually adding 10 years more to your visage.